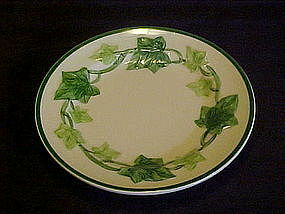 Franciscan ivy bread and butter plate 6 3/8"
Franciscan ivy bread and butter plate measures 6 3/8" in diameter. There are 6 available. All six are in mint condition. Marked with the Franciscan F on the back, USA. Price is for each plate. Please let me know quanity when ordering.